CMC's market analyst Margaret Yang spoke to Prime Time Monday to gauge signs of profit-taking at the start of the week. She also looked at recent earnings releases from the US, local earnings releases and how rising oil prices fit in the grand scheme of things. 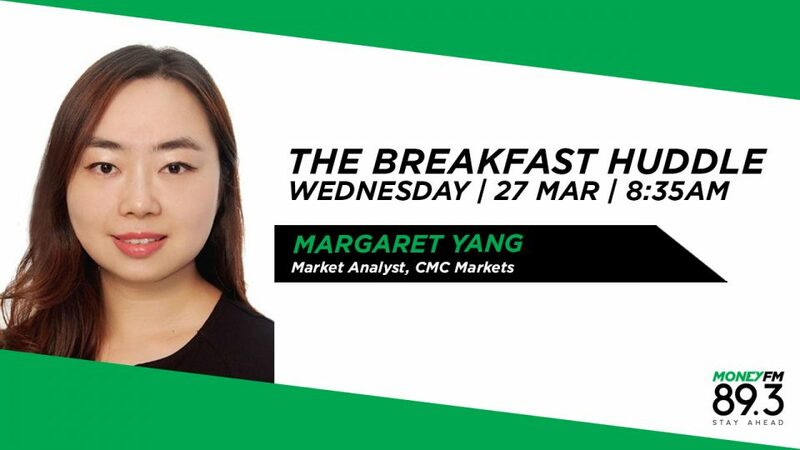 Margaret Yang, Market Analyst, CMC Markets shares what investors should keep on their radar this week, including how the US economy is doing, FAANG stocks and The Boao Forum in China. Margaret Yang, Analyst, CMC Markets zooms in on OCBC’s and UOB's fourth quarter results, which both missed market estimates. Margaret Yang, Analyst at CMC Markets shares her thoughts on DBS' Q4 results, the value of their stocks plus her expectations for the loans growth market. Margaret Yang, Market Analyst, CMC Markets gives her view on the tech sell off sparked by Apple, and where markets are headed next.